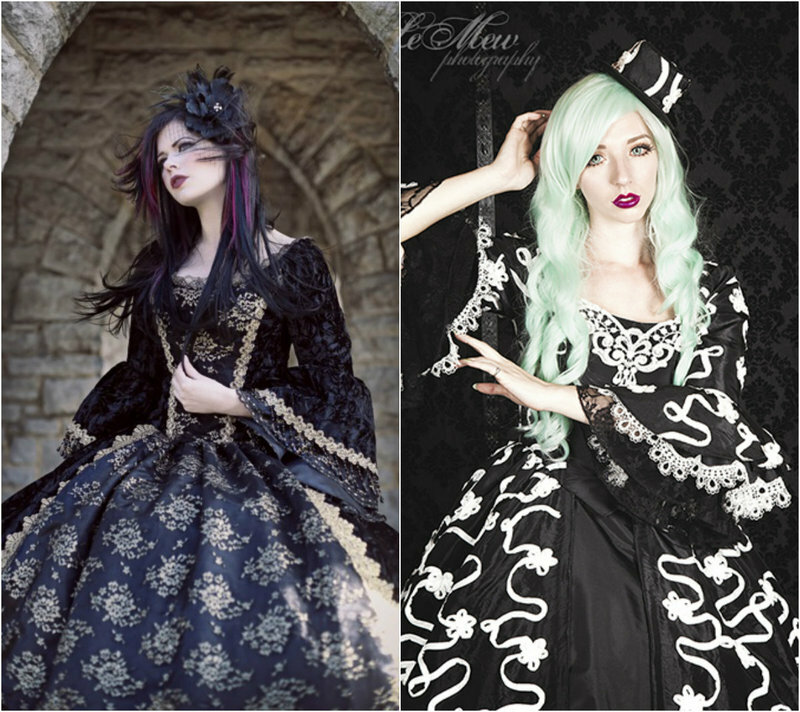 The Top 8 Goth Fashion Must-Haves You Will Love! The gothic fashion look is one that is subversive, rebellious, mysterious and dark, setting its wearers apart from the rest. With studs, pitch black fabrics and skull designs, it’s a look that brings the world of death and darkness alive, through Victorian inspired fashion. There are a few gorgeous gothic creations that are so wonderfully dark and brilliant, they have moved from the status of stylish wardrobe additions to gothic must-have’s. This article is a guide to the best of the best when it comes to gothic fashion, something to give a little inspiration to all you gothic gods and goddesses out there. Skull fashion is a definite must-have for any gothic wardrobe. With its relation to Halloween and rebellious edge, skulls and skeletons are perfect for Goths. These bony patterns remind us that death is always with us. In the 19th century, people used to wear skull jewelry when they were in mourning; goth as a subculture has its roots in the Victorian era, so they follow the traditions and customs of that era.They can be found in many forms, from skull patterned velvet scarves to corsets adorned with the heads of skulls, a skeletal design is guaranteed to set you apart from the crowd and add a little spice to your look. Accessorize skull fashion for endless possibilities and options. Victorian style dresses are not only beautiful and elegant, but dark and mysterious. With laced fabric and a dark, historic edge, they are perfect for special occasions and are guaranteed to make their wearer look like a dark, beautiful Goth princess. If you want to add a modern twist to the classic Victorian attire, why not try a short, laced black dress with a tight, black corset and high heels. There are many variations of this beautiful look, and whatever your personal style, there’s something to suit you. The whole goth aesthetic is inspired by the Victorian era and corsets were a big part of it. 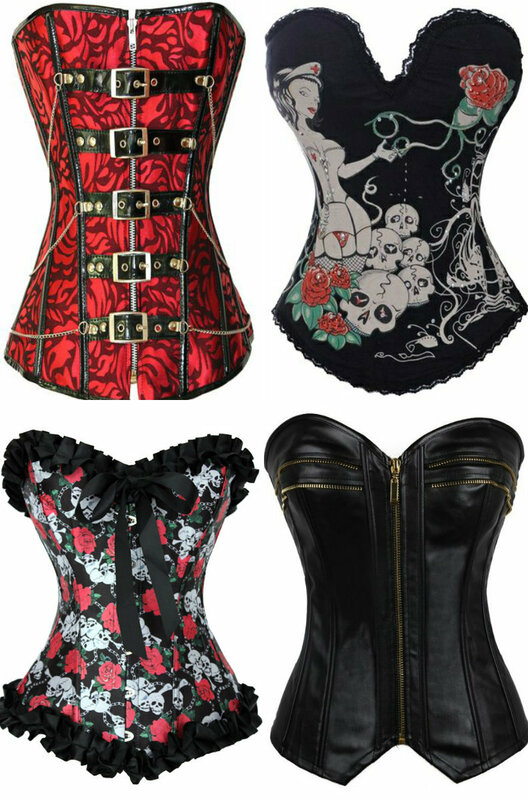 Corsets and bustiers are a great way to synch in your waist and define your body, as well as being pretty and elegant. Having passed the test of time, they are definitely worthy of being a gothic must have. 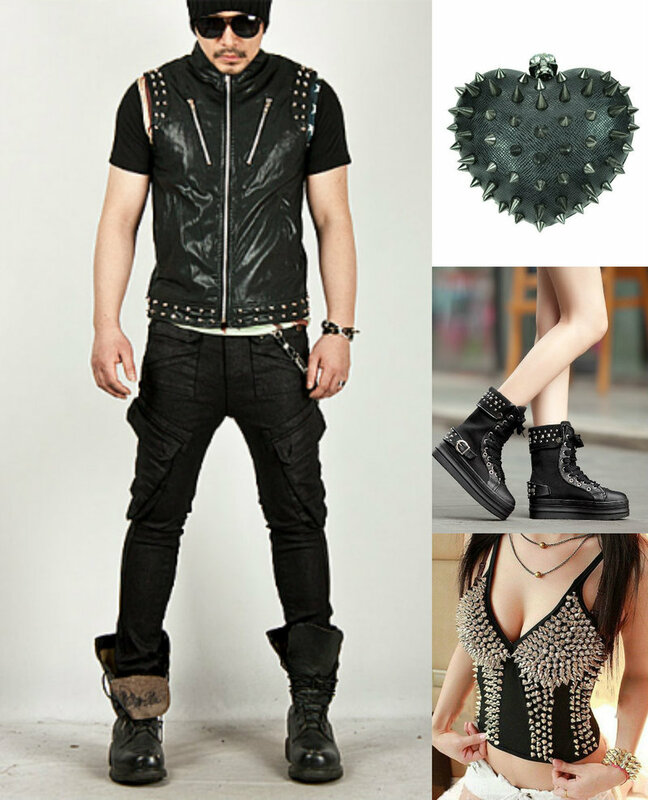 Studs and spikes are a brilliant way to show rebellion the Goth way. They can be worn with casual attire or dressed up with a more formal dress or black suit. They are perfect to accessorize for any occasion. With a multitude of options included studded converse shoes, black leather jackets adorned with silver studs, and spiked high heels, studs and spikes are a diverse and fun way to spice up your wardrobe. Seriously, which Goth doesnt have some lace in their closet. Its classic and its Victorian, plus it is a fashion staple for Vampires! The popular colors are white, black, purple and red. When you find that lace patterrn or print, hold on tight to it, your Goth future could depend on it! Boots are absolutely vital to the gothic look. Whether you choose a Victorian inspired look or a more industrial goth kind of look, you’ll always need cool boots. Heel boots, platform boots, flat boots: stock up on some boots because your gothic look will benefit from it! 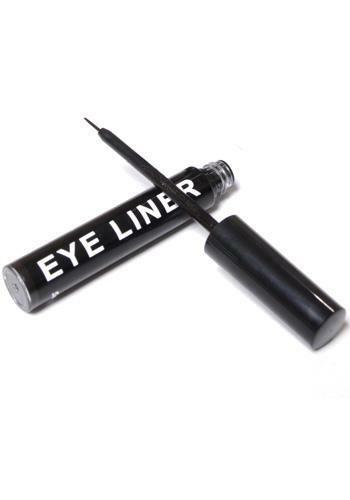 A brand of eyeliner that works for you is essential. While there are many, many different types of Goth makeup, most of them will require some kind of eyeliner, usually black. Choose a formula (liquid, pencil, gel, etc.) and color that works best for you. Why drop the Gothic glamour when you go to bed? Halloween time is usually a good time to get some pajamas, since they'll come with ooky-spooky motifs. Other options is some amazing edgy sleepwear that will have you staying true to your goth nature throughout the night. Originating from the rock genre, leather has spilled over into Goth. 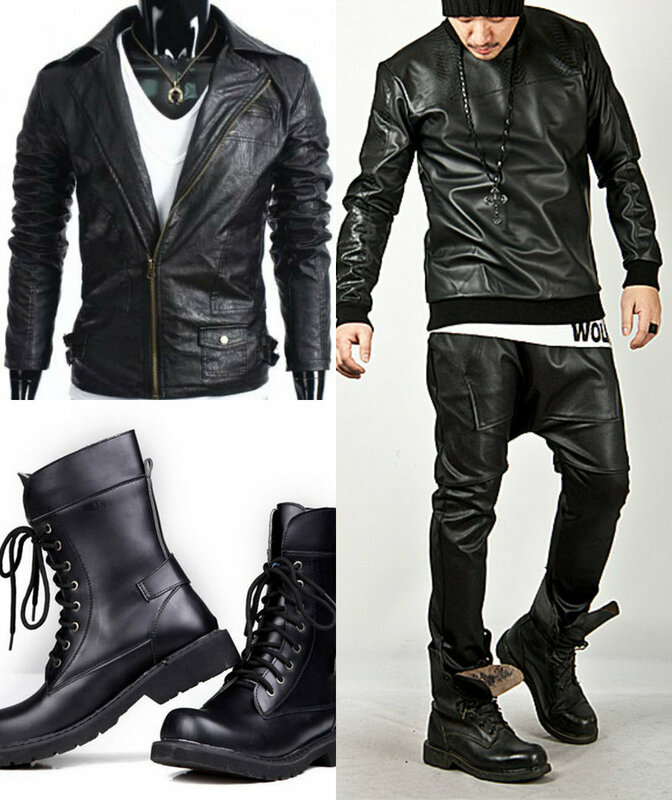 Leather can be used as a finishing touch to any gothic look. With its comfort and style it goes great with almost anything. Try a leather jacket over a tight black dress and spiked high heels, or black leather boots and bracelets. You can also find some amazing leather women dresses for a night out on the town. There are many ways to achieve the gothic look. Whether your looking for a vintage Victorian style, or a more modern rebellious look, there are lots of options out there, from tight black mini skirts to silver chained jewelry and much more. Use your imagination and get creative, and the gothic look will be yours! Have any more tips for the Goth dresser? We would love to hear them, comment below.